Whats with all of the white kitchens? In my Instagram feed, in magazines, in my client's houses, I am surrounded by white! As an artist I love color, but I think it scares a lot of people. Many people are so afraid of making a mistake in picking the wrong color. Will it be outdated soon? Will it make my kitchen too dark? Don't get me wrong, white is beautiful and has a place in interior design. But lets get a little crazy and entertain the idea of adding some spice to our kitchen cabinets, not just the food that gets cooked in them. Here are four colorful kitchens. A client of our own had beautiful new counters installed that had tones of pink, mauve, grey, and black. We chose a Farrow and Ball color that complimented perfectly. If you still love white kitchens, don't feel bad. I love them too and think that white is a classic color. 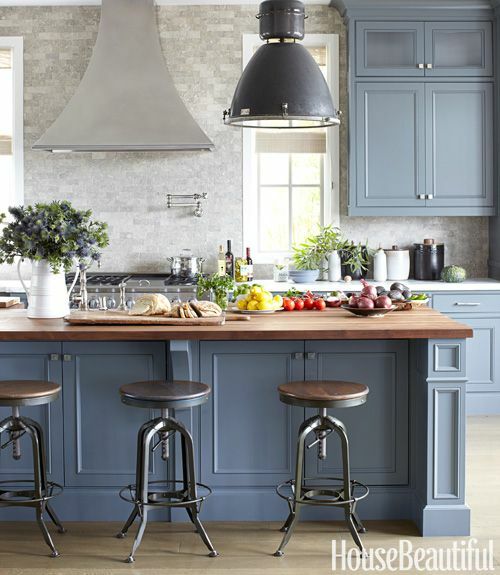 But adding a pop of color to the island is a way to get a little creative without committing to a color on all of your cabinets. Here is a kitchen I painted for a client of April Force Pardoe Interiors. The island was replaced with a beautiful dark wood and we painted the perimeter cabinets white with a grey glaze. What do you think of these colors? 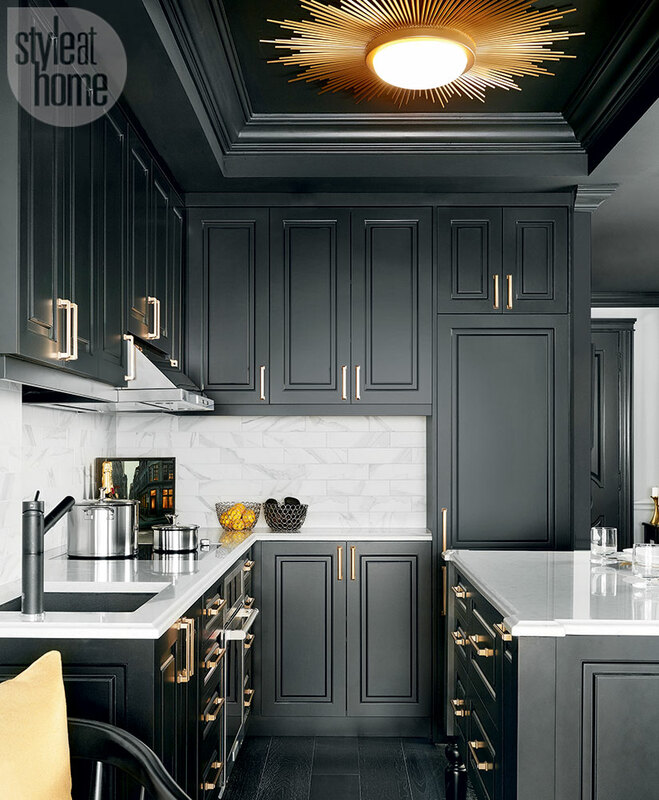 Are you thinking about refreshing your kitchen? Painting is a great way to update sturdy cabinets without breaking the bank. Check out our FAQ page for some more information on how we repaint kitchen cabinets. Not sure what color to choose? A good interior designer can help. Or give us a call and we can help you out.